Kate Expectations : Is That the BEST You Can Do? I thought a family picture would be a good way to start out a blog. This led to a horrifying discovery...This is the only family picture we have taken in eight months. 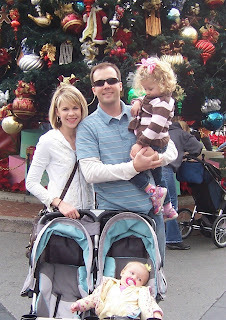 Leah looks half-conscious & Jolie was mad because she wanted to be in the Bracken family picture instead. A Christmas card it is not.